LIMA – Lima’s Bristol ID Technologies is looking to expand and create 15 to 25 new jobs for the community over the next several years. Seeking assistance in this endeavor, Bristol ID CEO Keith Yeates and Director of Finance Joshua Hellman, along with Deputy Director of Livingston County Development Maureen Wheeler were present at a public hearing June 1 at a Lima Town Board meeting with a proposal to submit a Community Development Block Grant Program (CDBG) application to the State. Town Supervisor Pete Yendell said that this could be beneficial for a business already significantly impacting the area. 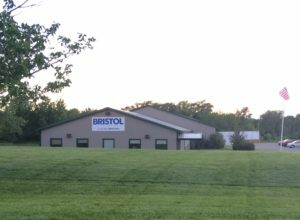 “This will also help retain the jobs that we currently have at Bristol ID, which are very important to our community,” Yendell said. According to Wheeler, Bristol ID already provides about 80 jobs to the community. Yeates, who has been CEO of Bristol ID for 14 years, detailed the reason for expansion. Yeates also explained that their expansion means they plan to stay and grow in Lima. At the conclusion of the hearing, the board voted in favor of the CDBG application.